News flash – We are put on this planet to connect with one another. That’s why things like social media were invented in the first place. From the spiritual realm they were placed in our path (by humans) to allow us to engage with anyone and everyone in cities and countries we may never visit in our lifetimes. It is a tool for healing our sense of separation and recognizing we are all connected as brothers and sisters. You might not be ready to recognize our Oneness, but it is the truth of who we all are. As someone who has written three books on spiritual laws and principles straight from Source, I know we are all tied to one another via an invisible force. Yet, as hard as we (“we” meaning our metaphysical side) try we cannot seem to break through to the masses. Engaging in celebration and joy is how we bring peace to the planet. Instead we destruct the indestructible by breaking that bond on a daily basis. It’s my job as a spiritual teacher to enlighten those willing to listen to our truth. We are all one. We come from one single source. We are therefore only one thing. Our minds are separate, but our souls are connected and this where we need to form better patterns on a whole as a society. In order to live in harmony, we must harmonize as a species. This doesn’t happen when we limit our human connections. Texting and swiping are not connection. Talking and laughing are. As a conscious healer my role is to bring to light certain traits of humanity which are meant to be examined. Rumi wrote poetry for this. I write blog posts. Modern day, you know. One thing I know for sure as a spiritual teacher is that there is always a message in your mess and today my mess was designed to spark a very real conversation about our lack of human interaction these days. Today I was caught up in a circumstance where human interaction became impossible and the culprit was Uber. I’m singling out Uber since this happened to me today, but I have been shocked to find companies like Apple cutting back on telephone support despite various focus groups and research organizations finding that most customers would rather interact with a human being than digitally. Back in June, I downloaded the Uber app but never took a ride. Within a few weeks of installing the app I received emails from Uber, one stating that I had signed up for information about being a driver even though I never did that. Then this morning I get an email from Uber that an unknown device had logged into my account from Kuala Lumpur, Malaysia as I was sitting at my kitchen table in South Florida. So obviously that was not me. I did what I would normally do in case of fraud – I picked up my phone and looked for an 800 or other toll free number to call to get help as I would for AMEX or VISA or any number of places like Target and Amazon. I had to go searching pretty deep to find any type of phone number at all because Uber only has 24/7 customer support for its drivers and not their riders. Huh? So riders are basically screwed? I did find a number to call in case of emergency but that was just for “critical” situations. Some low vibrational person hacking my account does not qualify as critical to me. So I called the driver’s toll free number and was quickly met with a brick wall. The woman on the other end of the phone kept telling me this number was for drivers only and that she would not help me other than to pass it on to their support team. They could only help riders. I asked about 25 times to connect me via telephone to this magic support team but apparently they are allergic to telephones. Eventually I gave up with the telephone idea and took to Twitter to get this handled. How sad of a state of affairs is it that you have to take to social media to get a company to respond to you. I went the DM route and was rewarded right away with a reply… to pass along my email to them. Nope. Still no phone contact allowed. This all happened at 8am this morning and Uber finally sent me an email around 11am. Then at 1:25pm (one hour after Uber told me they saw the fraud on my account and were changing my password) I got yet another email stating someone had just tried to log into my account from another device. Great fixing, Uber. Oh and they also told me via email not to contact support again about the issue, which I did anyway and have yet to hear back from them on that one. I did not say I HAD charges. I asked if there WERE charges. This is the WORST CUSTOMER SUPPORT I HAVE EVER DEALT WITH. Why cannot I not speak to a human being??????!!!!! This is insane. We understand that you would like to speak on the phone about this concern. Though we don’t currently provide phone support for these issues right now, I’ll be happy to work with you via email to fully resolve your issue as quickly as possible. So Uber just told me they don’t provide any phone support for fraud. How is that possible? Is it less expensive to have someone behind a computer sending emails than sitting in a call center taking calls? Wouldn’t it be quicker and more efficient to get this all done on the phone? I have spent an entire day fixing the issue with Uber. Meanwhile, I called Amazon the other day to fix an issue with an item I ordered and I spoke with a human being, had a quick chat about what went wrong and the issue was fixed within minutes. No hassle. No drama. No all day email exchange. Just a short phone call. You would think a company (which actually creates human connection via ride sharing) valued at 72 billion dollars would value their customers enough to make themselves accessible to their riders, but I guess not. It’s time to do better Uber. 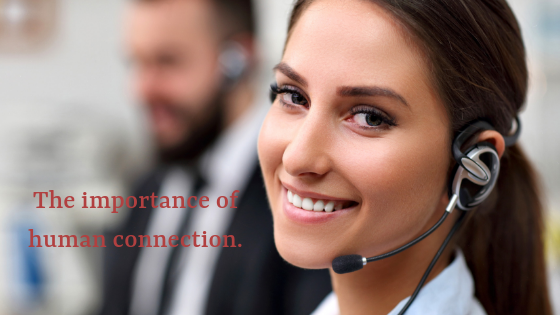 It’s time to recognize our unity and that human to human interaction is the best customer service. Laura Saltman is a self-help Author, Intuitive, Inner Guidance Coach and TV Host. Her new age/new thought book series The All of Everything and The All of the All are available on Amazon and Barnes & Noble. Her next book The All That Is is due out in January 2019.